Was super excited to find this. Fairly quickly though, it started crashing on me when I try to record goals. Has happened 10+ times. That is a basic functionality issue. Soon after, started crashing for no reason. Made sure app was up to date, restarted iPad - didn't help. PLEASE FIX THIS!!! Has a ton of potential but continually dumps you out of the app while scoring. I had to ditch it mid game in frustration. Looking forward to updates. 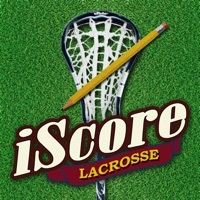 This has the potential to be the best app out there for lacrosse score keeping, but in my first use of it, it was so filled with bugs and errors that I couldn't produce a useful set of stats. I've reported the issues and hope they will correct soon. If they do I'll update my review.